Digital deformities have been long associated metatarsophalangeal joint (MTPJ) pathology. Traditional rebalancing techniques, which include sequential joint releases and capsulorrhaphies, are commonly performed in conjunction with complex hammertoe and lesser metatarsal osteotomy procedures involving MTPJ contractures. Decades of clinical outcomes have clearly demonstrated that floating toes, digital instability, and malalignment are potential undesired outcomes. In recent years, the known influence of the plantar plate on digital stability has become increasingly critical. A growing body of evidence suggests that the collateral ligaments also contribute to digital stability, particularly in regard to transverse plane deformities. A myopic surgical approach that solely focuses on the plantar plate without addressing the collateral ligaments will ultimately increase the risk of suboptimal outcomes. This chapter specifically focuses on the technical details related to MTPJ repair in the context of a crossover toe deformity. This technique involves rebalancing both the accessory and proper medial and lateral collateral ligaments in addition to an insufficient or torn plantar plate. 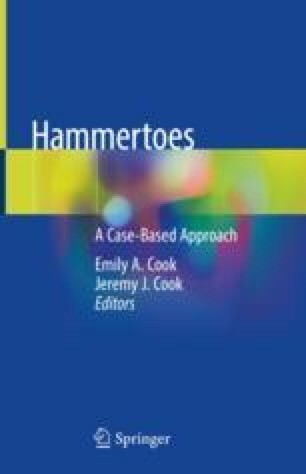 We highly recommend that this technique is combined with metatarsal osteotomies and hammertoe procedures where appropriate, but these additional techniques are covered in great detail in other chapters of this book.